This attraction offers guests a one-of-a-kind experience. 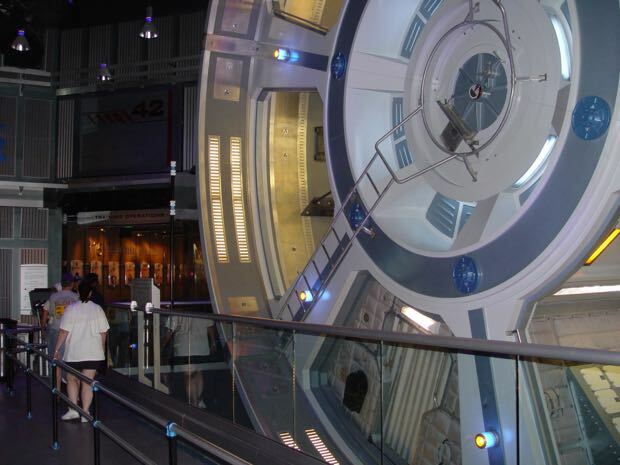 Mission Space launches visitors into a simulated space adventure with a pulse-pounding liftoff followed by the sensation of weightlessness in outer space. 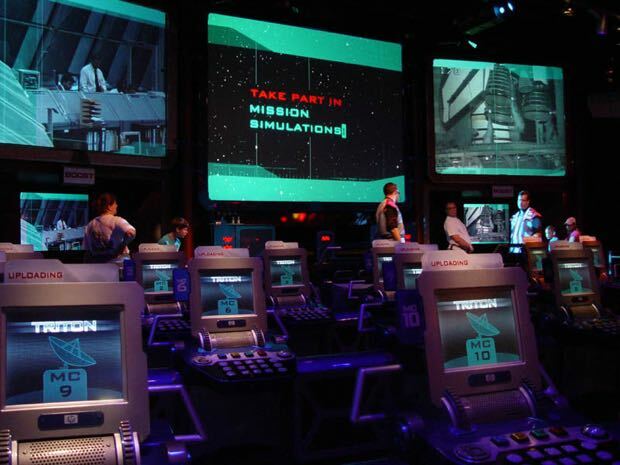 Upon entering the attraction you are brought into a queue area representing a futuristic International Space Training Center. Suspended on one of the walls is a huge Gravity Wheel along with a number of flags hanging from the ceiling, which gives the training center an international flair. TIP: There are plenty of intensity warnings before you get on the ride. When you experience this attraction, you need to keep your head back and keep your eyes focused on the video screen in front of you at all times. If you turn your head away from the screen or close your eyes, you can become disoriented and may develop motion sickness. You have the option of choosing a less intense experience. You can choose to bypass the centrifuge (spinning action) of Mission SPACE. Just let the Cast Member know which version you prefer and you'll be directed to the appropriate queue. The ride begins with the launch countdown, and they throw in some psychological effects that help build the tension you might experience before a launch. As the countdown approaches, the seats tilt back into the launch position of facing the sky on your back. At lift off you feel the engines roar and blast off. The ride creates large G Forces, and a tremendous feeling of increasing speed as the craft escapes the Earth's gravitational pull. As the flight continues there is a simulated feeling of weightlessness. Each member of the four people in the vehicle has a mission to accomplish during the simulated flight to Mars. 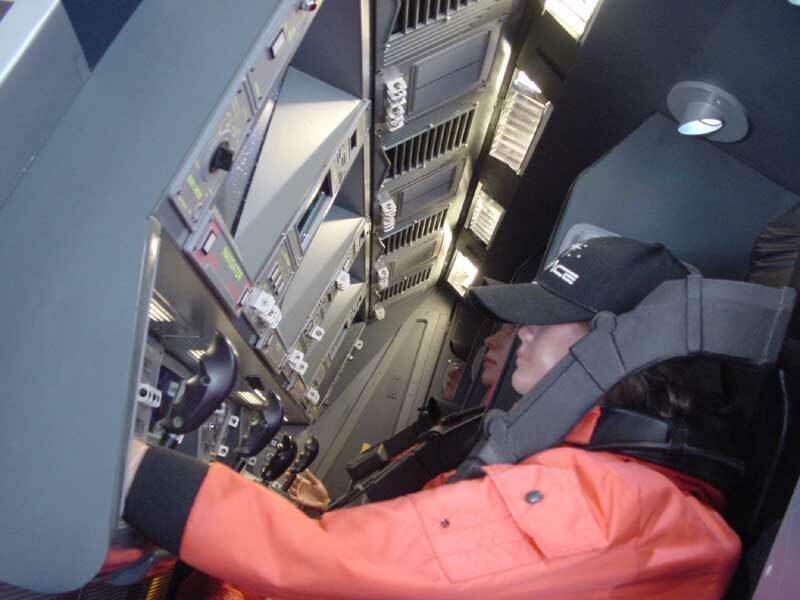 Each mission's outcome depends on how well the team performs during the flight. 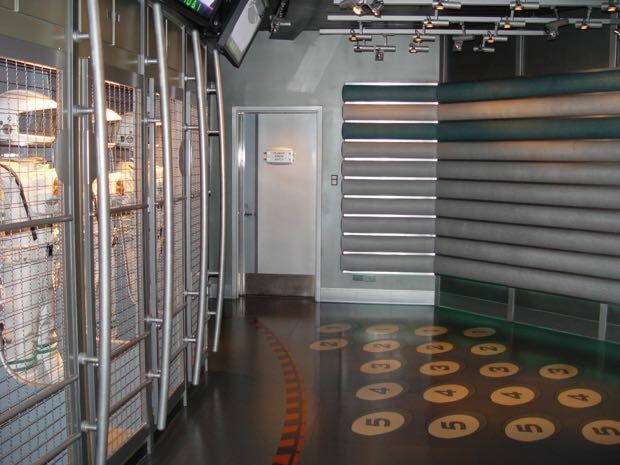 After the ride ends, you enter the attraction post ride area that features games that everyone can play. There is also be an interactive play area for kids and adults. 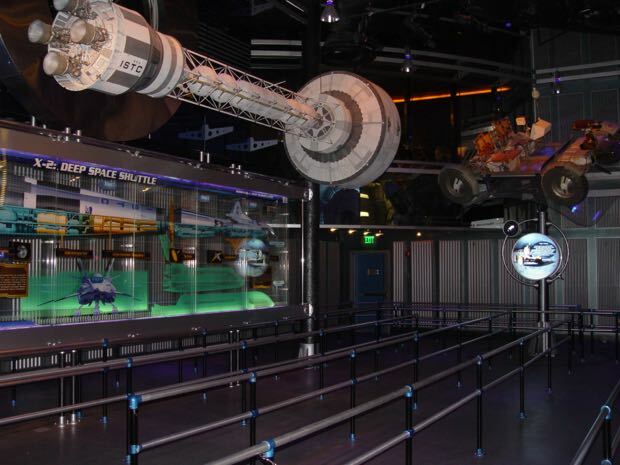 Handicapped Accessibility: Guests must transfer out of their wheelchair/ECVs for this attraction. Video captioning is available. Due to the nature of the experience, guests with service animals are not permitted on this attraction. 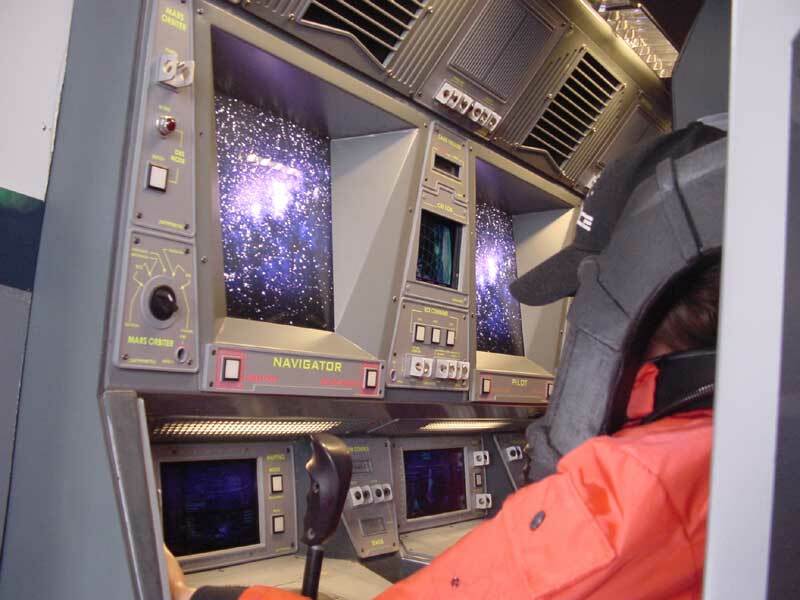 Mission Space was created in collaboration with former NASA advisors, astronauts and scientists, along with the Walt Disney Imagineering team. 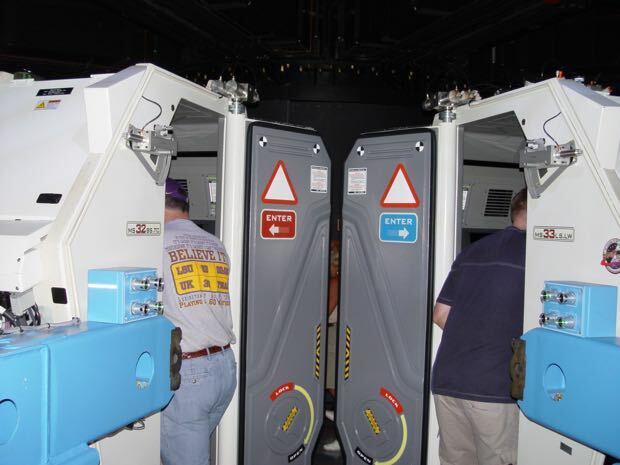 The attraction uses new technology, which makes it the first ride system to take attraction visitors straight up in a simulated flight experience. The vehicles have four seats in a row with dividers running between each seat, which face four video monitors and control switches. Each seat is equipped with a locking "over-the-shoulder" harness restraint, and its own sound system. 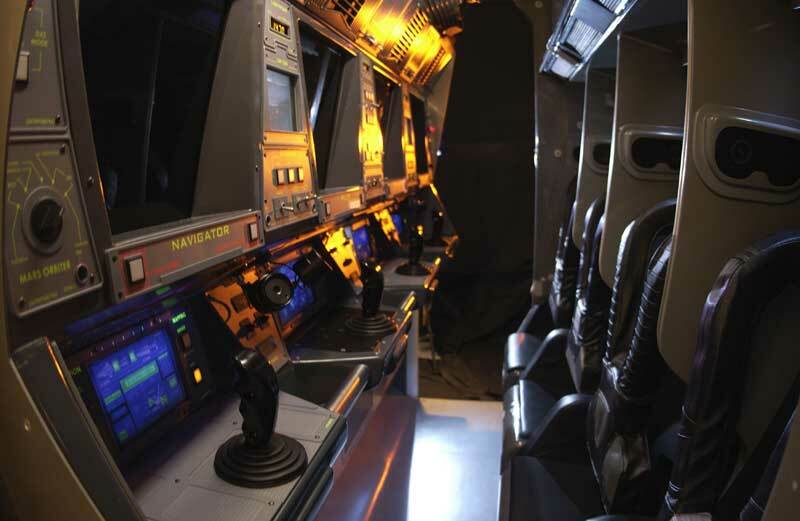 The vehicles interior are very detailed, having a large number of controls and displays in front of each seat, along with a joystick that each person uses. The vehicles front portion folds downwards and is used for loading and unloading the compartment. 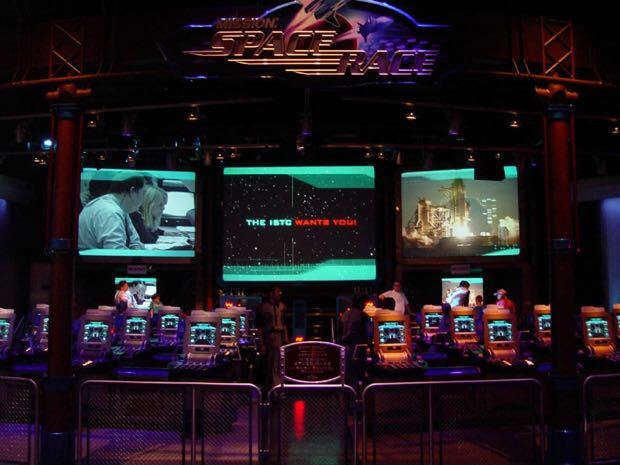 The ride system was manufactured by Entertainment Technology Corporation. ETC builds human centrifuges that create 2.5 G's [1 to 1.5 G's in one second! ], large-scale intelligent VR training simulators, to creating the next generation of motion-based simulation attractions which allow sustained G's and continuous 360º motion in up to four axes on the ride. As you approach the pavilion you will notice three planetary objects in the plaza outside the building. The first is of the Planet Earth, which has the "Mission Space" Logo with a Space vehicle appearing to be taking off in front of it. To the far left you will pass by a scale model of our moon, which has different colored markers that indicate the 30 landing sites of missions to the moon between 1959 and 1976. The third planet is multi-colored and is to the right. 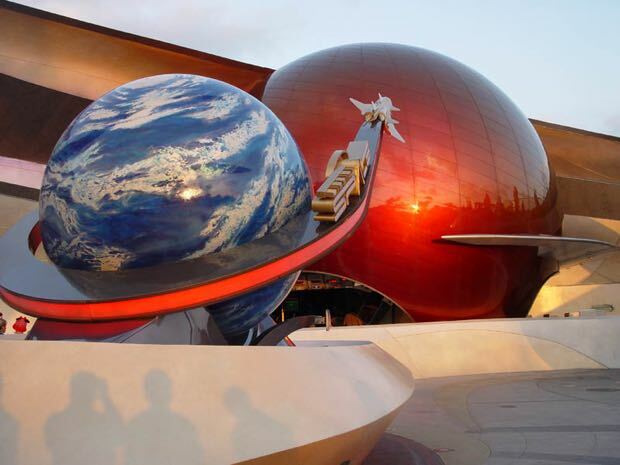 The large red planetary object is where you first enter this attraction's queue. The entrance contains a series of railed off areas that separate the FastPass+ return line visitors, from the standby line and the single riders line. Digital displays located overhead, let you know the wait time for each line category. Along the outer walls of the Planetary Plaza area, you will see plaques that have quotes from famous people pertaining to space flight through the ages. Mission Space Hazardous to your health? After more than anticipated "protein spills", Mission Space now has Motion Sickness bags handy for riders. Even if you usually don't have a problem with this, you may find that this attraction makes you queasy. 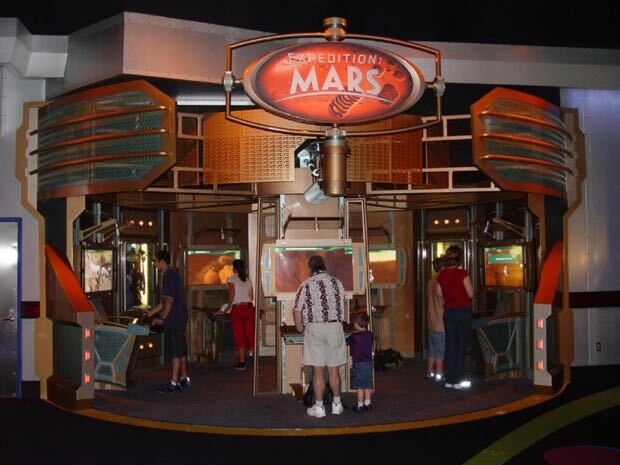 Riders of Mission Space in the age 55 plus bracket take note. 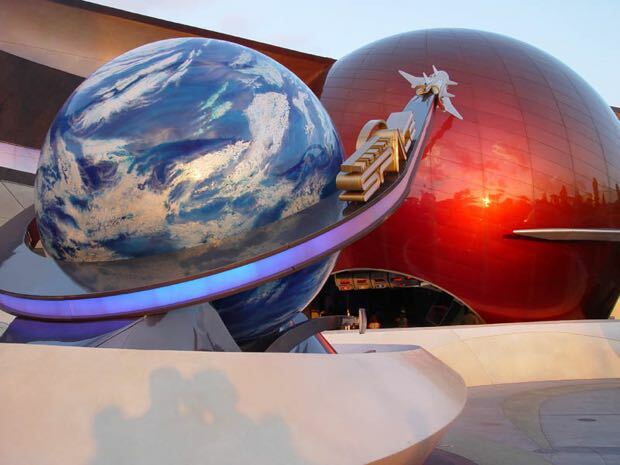 Enough guests in this age group have been taken to the hospital after experiencing Mission Space that it’s become a concern. The guests requiring medical attention had all complained of chest pain and nausea. The majority of them had pre-existing conditions, which are specifically mentioned in the posted warning notices. With age being the common denominator of those taken to the hospital, adding warnings specifically for older riders may become necessary. While there are no less than 13 warning signs addressing pregnancy, height minimums, motion sickness, high blood pressure, heart, back or neck problems, and a recommendation that you be in good health, none of the cautions specifically address riders who are over 55 years of age.